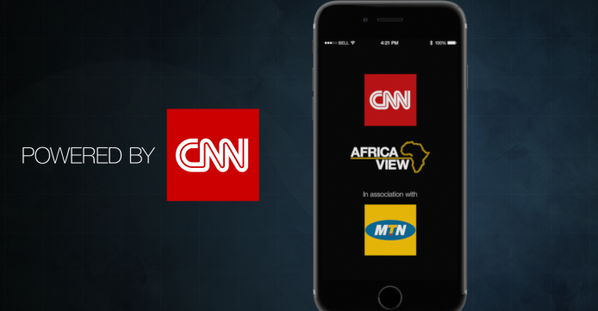 Today, CNN International and MTN, Africa’s biggest mobile operator, just launched a new app, called Africa View. According to the network, the app launch is part of a multi-platform commercial partnership between CNN and MTN, spanning advertising, sponsorship and digital components. The Africa View app curates CNN International’s extensive Africa content, including the network’s Africa View weekly infographic content, providing background and context to trends, figures and initiatives shaping the African continent. The app also showcases content from CNN’s flagship African programming including Inside Africa and CNN Marketplace Africa, as well as breaking news and analysis about the continent. However, partner MTN was fined $5.2 billion for having unregistered sim cards. It has been cited as a security matter as the country battles Boko Haram terrorists, according to the Financial Times.